Probiotics are living organisms, bacteria and yeast that are very good for the body, particularly the digestive system. When you hear the word germ or bacteria, generally one’s mind thinks of diseases, but did you know that your body is filled with both good and bad bacteria? These microorganisms help to keep your gut healthy, are commonly prescribed by doctors and can be found in everyday foods. Let’s take a closer look at the micro world of probiotics, how they work and why they are good for you. What Do Probiotics Actually Do? While the medical and scientific community is still trying to pinpoint the exact effects of probiotics on the digestive system, these microorganisms play an important role in keeping the body balanced and running properly. Also known as microbes, these tiny bacteria are so crucial to good health, that the slightest imbalance can lead to numerous conditions and diseases. Fighting potentially harmful bacteria and other organisms in the intestine, probiotics work to reduce the risk of toxin-mediated diseases. They also help to regulate immune responses, to aid the body’s response to infection and inflammation and to promote the inner lining of the intestine’s function, which increases its ability to block dangerous organisms and chemicals. Probiotics are naturally found in your body and digestive system but are also present in a wide variety of fermented foods like yogurt. You can also include more probiotics in your diet by taking a daily supplement that can help maintain the proper balance of this bacteria. Check out Consumer Advisors to find a probiotic that could work for you. 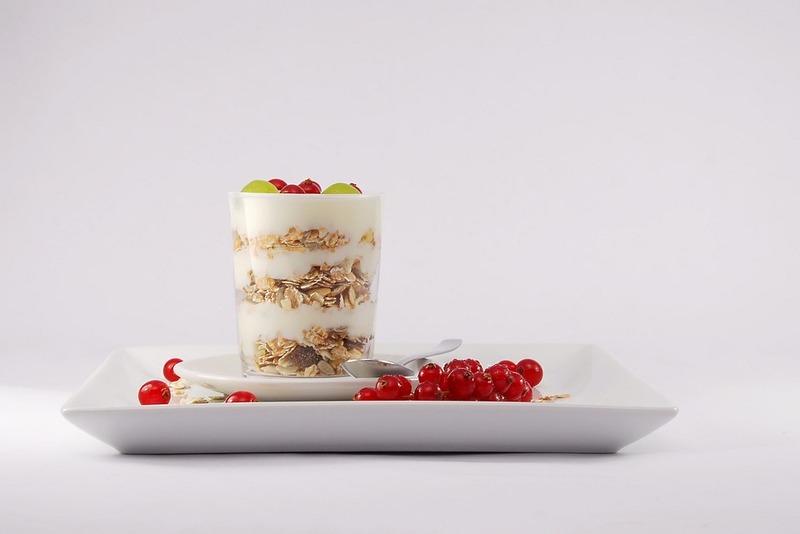 ● Yogurt: Probably the most famous probiotic food, yogurt is made from fermented milk that has been treated with lactic acid bacteria and bifidobacteria. ● Kefir: Derived from the Turkish word ‘keyif’ translates to ‘feeling good’, this fermented milk drink is made by adding kefir grains (which are cultures of lactic acid bacteria and yeast) to cow or goat milk. ● Kimchi: This fermented cabbage side dish hails from Korea, where it forms part of most people’s daily diet. Containing lactic acid bacteria, eating kimchi has shown beneficial to the health of the digestive system. ● Kombucha: This is a popular fermented drink made from green or black tea and is consumed especially in many parts of Asia. Kombucha is fermented by a colony of good bacteria and yeast. Because of its effect on the digestive system and overall gut health, having the right balance of probiotics in your body leads to many other associated health benefits – ranging from weight loss to better immune function. ● Probiotics are good for your digestive system, as it restores the natural balance between good and bad bacteria in the gut. It can also help regulate irritable bowel syndrome and may aid other related conditions, like colon cancer. ● Probiotics can help to treat and prevent diarrhea, particularly caused by antibiotics, as it helps to regulate and soothe an upset stomach. ● Probiotics can improve your oral health, as they help to prevent mouth and throat infections. ● Probiotics have been shown to improve mental health and reduce symptoms of depression. ● Probiotics help to keep allergies and skin conditions such as eczema at bay. And have been used as a natural remedy for this condition, particularly for infants and young children. ● Probiotics improve blood pressure levels and have been shown to be beneficial to heart health, as it reduces cholesterol levels in the blood. ● Probiotics play a role in maintaining vaginal health, as it regulates the bacteria in the female reproductive area. If you don’t have enough or the right levels of probiotics in your system you could be putting yourself at risk of developing diseases or health problems that could be avoided. When there is a lack of these microorganisms in the body, toxins in the intestine can build up, leading to unwanted complications. Talk to your healthcare practitioner about getting more probiotics in your diet and daily routine, to stay balanced and healthier for longer.